I just wanna say that our customers ROCK! I held a Thanksgiving Weekend sale where some items were up to 40% off! Thanks to our awesome customers, Revive had record breaking sales. I took a few pictures of the madness/awesomeness of this sale! The first night of sales.. 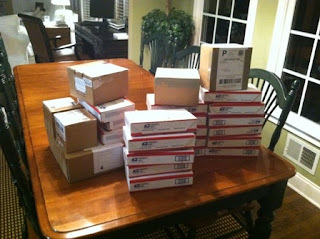 There were SO many packages! 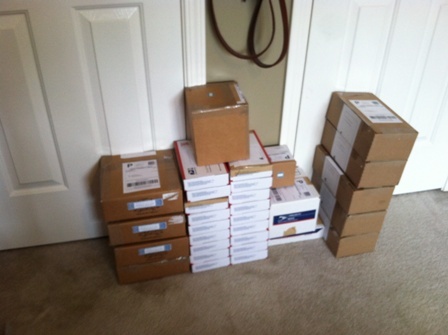 Imagine walking into the post office with all of these... Haha then I found out you can request pickup from USPS so I did that for the next couple of days. 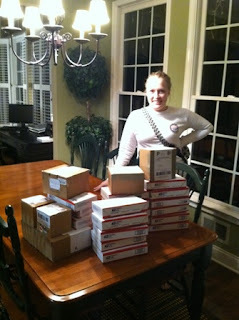 It was a very long night of packaging orders! 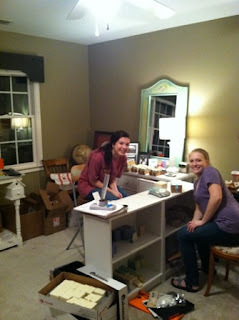 The next day, my roommate Jenna came over to help me with more orders. I was worried I wouldn't get them all done before finals so I was super excited when she said she wanted to help me. Thanks Jenna! More orders the next day. All packaged up and ready for the mail! Revive had a little over 75 sales which brought in over $1000 worth of revenue. Talk about a blessing to help pay for my schooling next semester and some much needed soap equipment!! 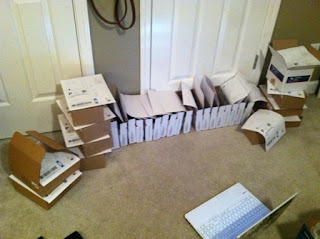 Due to so many orders, I basically sold out of EVERYTHING (which is awesome!)!! Good thing I didn't have a holiday show to do this year... I would not have had any products to bring! However, now I know how much soap I need to have on hand before next year's Thanksgiving Weekend Sale... A lot more than I did this year - haha!! Anywhooo, I have made more of my little soapies so now everything is back in stock except for the Cara Facial Bar so shop away! There are only a couple more days to order before it's too late for Christmas shipping. Soap is a great stocking stuffer! Hard work pays off. Keep it up sweetheart!